Portsmouth midfielder James Dunne is to have surgery on his injured knee. The 25-year-old has made 17 appearances for Pompey this season, scoring once, but was injured during the 3-0 victory over Carlisle on 1 November. 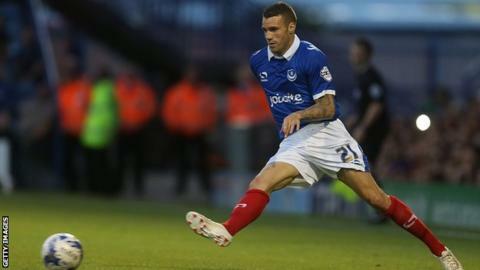 "James Dunne has a knee injury which will require an operation on Tuesday," Pompey manager Andy Awford told BBC Radio Solent. "He has cartilage damage. We won't know the severity until Tuesday but he'll be out for the next two or three weeks."